Since 1965, Dial Machine has served as a precision contract manufacturer for regional and national companies in need of world-class machining services. 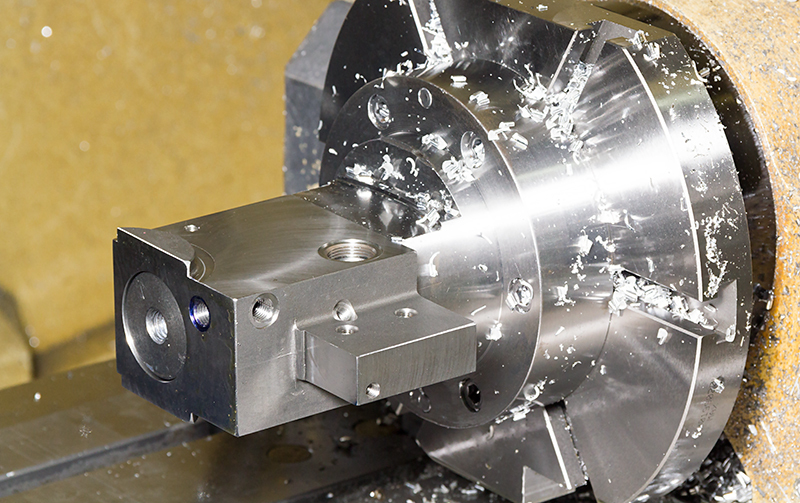 Our knowledgeable and skilled craftsmen utilize decades of experience and state-of-the-art equipment to deliver machining solutions for parts and/or components with precise tolerances (i.e., +/- .00025). From the beginning, we have focused on building long-term relationships through personalized service and attention to detail. This means partnering with our customers to find effective machining solutions and deliver consistent quality year after year. This extensive manufacturing experience has allowed us to build and maintain a team of dedicated professionals who employ proven processes and techniques to produce lasting value to clients around the world. It has also allowed us to earn a reputation for efficient, solution-driven services and quality finished products. Manufacturing: We manufacture affordable parts and components, whether it's a few custom pieces or a large recurring order. Assembly: We have a team of dedicated technicians ready to assemble and finish your project. Whatever your needs, we have the processes and equipment to deliver consistent results. Despite 50 years of dedicated service and a reputation for excellence, we are not resting on our laurels. To increase operational efficiency, we have implemented Lights Out Manufacturing, setting up our CNC equipment to create parts overnight, while staff is not around. This allows us to improve turnaround time and reduce labor costs, which we pass along to our customers. Dial Machine Company takes quality assurance very seriously. We are committed to manufacturing and delivering the most precise parts available in the market today. All parts undergo a rigorous quality inspection prior to receiving final approval and clearance for shipment. This inspires confidence and assures that specified tolerances are met and all final products are "free of any defect." Dial Machine Company understands the challenge and importance of finding the right contract manufacturing partner and would appreciate the opportunity to demonstrate why and how we can serve your company. Please call us at 215-639-7650 or contact us using our convenient online form today!